Brughelli, M., & Cronin, J. (2008). Influence of running velocity on vertical, leg and joint stiffness - Modelling and Recommendations for Future Research. Sports Medicine, 38(8), 647-657. 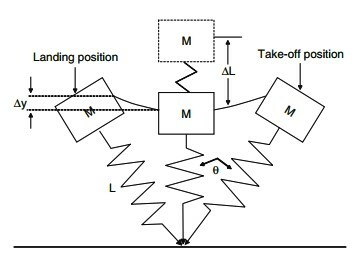 Girard, O., Millet, G. P., Slawinski, J., Racinais, S., & Micallef, J. P. (2013). 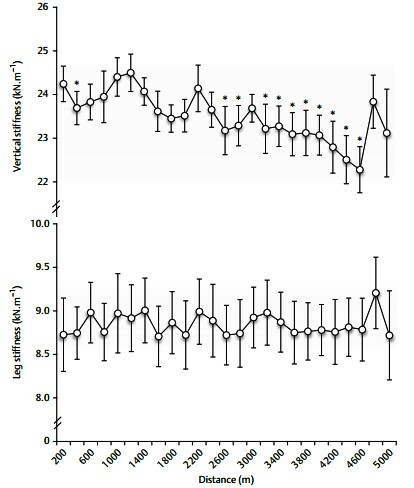 Changes in running mechanics and spring-mass behaviour during a 5-km time trial. 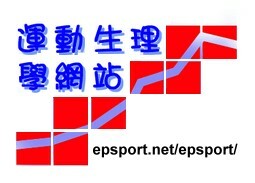 International Journal of Sports Medicine, 34, 832-840 . McMahon, T. A., & Cheng, G. C. (1990). 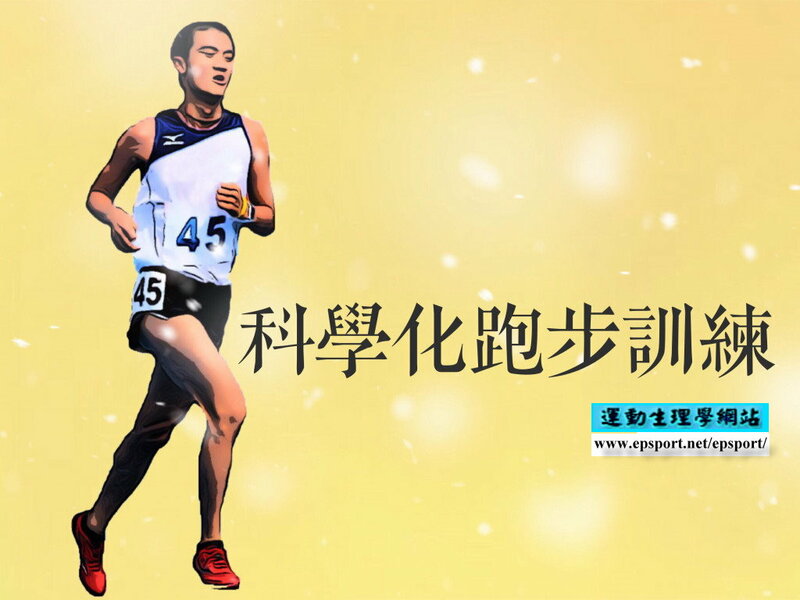 The mechanics of running: how does stiffness couple with speed? Journal of Biomechanics, 23(S1), 65-78. Monte, A., Muollo, V., Nardello, F., & Zamparo, P. (2017). 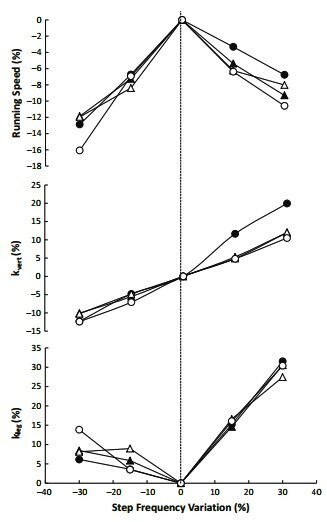 Sprint running: how changes in step frequency affect running mechanics and leg spring behaviour at maximal speed. 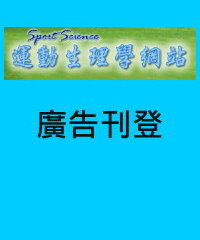 Journal of Sports Science, 35(4), 339-345. Morin, J. -B., Dalleau, G., Kyrolainen, H., Jeannin, T., & Belli, A. (2005). A simple method for measuring stiffness during running. Journal of Applied Biomechancis, 21, 167-180. Morin, J. -B., Samozino, P., & Millet, G. Y. (2011). 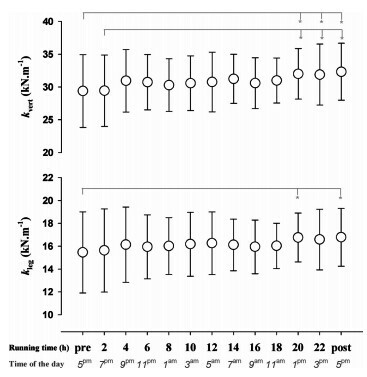 Changes in running kinematics, kinetics, and spring–mass behavior over a 24-h run. Medicine and Science in Sports and Exercise, 43(5), 829-836. Pappas, P., Paradisis, G., & Vagenas, G. (2015). 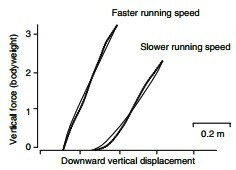 Leg and vertical stiffness (a)symmetry between dominant and non-dominant legs in young male runners. Human Movement Science, 40, 273-283.